Racecar Engineering™ has planned this event during the second weekend in February, after the some of the racing dust has almost settled. 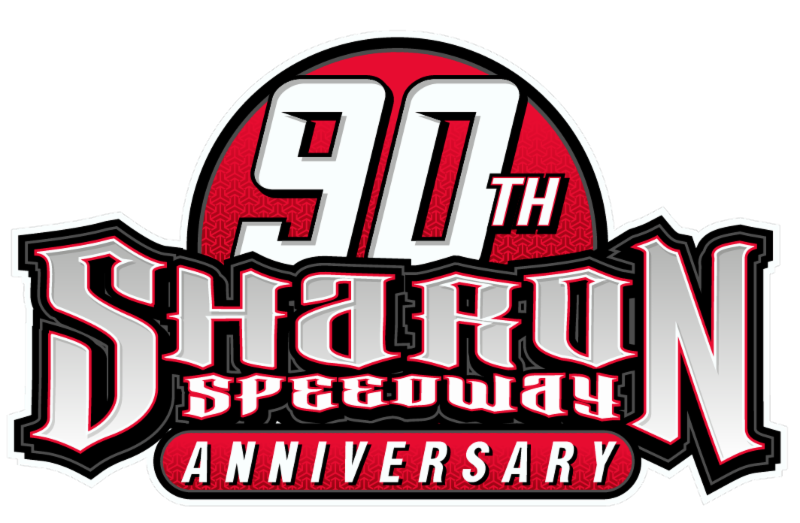 They have set aside one day during Speedweeks®* to allow drivers, their teams, and their dealers to interact one-on-one with the factory personnel from over 50 prominent product manufacturers they represent. RCE’s ‘Vendor College’ will feature factory technical seminars throughout the day, along with factory personnel displaying their company’s latest & greatest racing parts and handing out their 2019 new product literature. This exclusive event will also include goodie bags for all who attend featuring factory literature, decals, and maybe a few surprises. Free food and refreshments will be available. There is also a raffle with great prizes courtesy of participating manufacturers, activities for the kids and maybe best off all, great deals on racing parts and equipment. Just a few of the manufacturers scheduled to be on-site during the 2019 Racecar Engineering™ ‘Vendor College’ are: Allstar Performance, Bassett, Bert Transmission, Bilstein, Brake-O-Meter, Brinn Transmission, Canton Racing, Cometic Gasket, Daytona Sensors, Design Engineering, Driven Racing Oil, DRP Performance, Factory Canopies, FAST Electronics, Fragola, HANS, Holley, Hyperco, JE Pistons, Jones Racing Products, KRC Power Steering, Maxima Racing Oil, MSD, Powermaster, Progressive Racing Engines, QuickCar Racing, Racing Electronics, RaceQuip, Roux Helmets, Simpson, Strange Oval, Sunoco, Velocita, Wilwood and XS Power Battery. The event exhibitor list is expected to grow quickly, so be sure to check-out the Racecar Engineering™ website and social media channels frequently, as new participating brands will be announced over the next several weeks. Best of all, remember that the 2019 Racecar Engineering™ ‘Vendor College’ event is absolutely FREE and all proceeds from raffles tickets and food donations will directly benefit the St. Jude Children’s Research Hospital, the primary charity of choice of Racecar Engineering™. 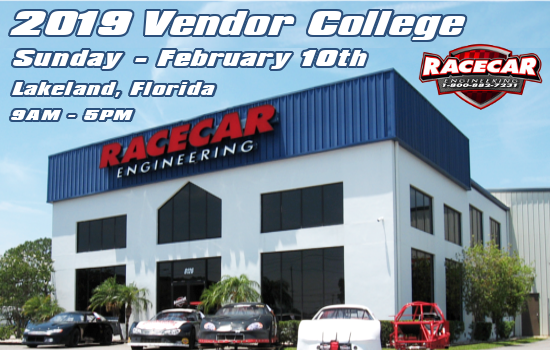 For further detailed event information including host hotel information, event map and technical seminar schedule, please visit the ‘Vendor College’ event page on the Racecar Engineering™ website at: www.racecareng.com/2019-vendor-college-event-info. If you have any questions or require additional information, please contact the Racecar Engineering Sales Staff at 800-882-7231. *Disclaimer – Speedweeks® is a wholly-owned registered trademark of the International Speedway Corp (ISC). This event is in no way affiliated with, sanctioned by, or endorsed by, ISC and is referenced only as a period of time during annual February racing events in the Central Florida area.